THE LITTLE DANDY : Skin Food Giveaway! I know I'ver never posted anything beauty-related, and I know I am definitely no beauty expert. 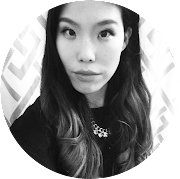 But when it comes to skincare, I definitely have my go-tos! 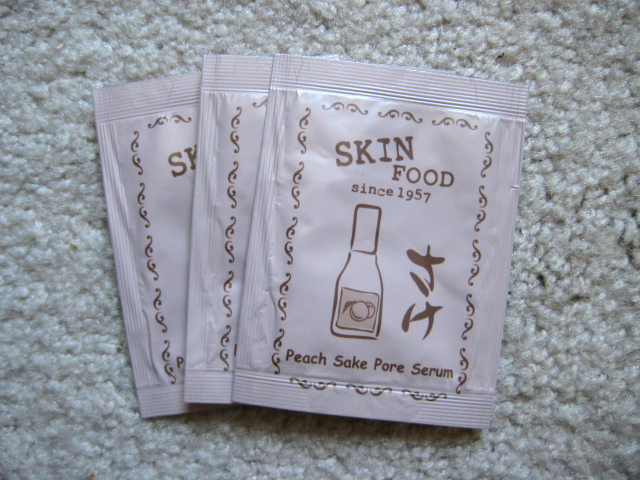 Ever since my year-long journey to South Korea a couple of years ago, I have been so in love with Skin Food. 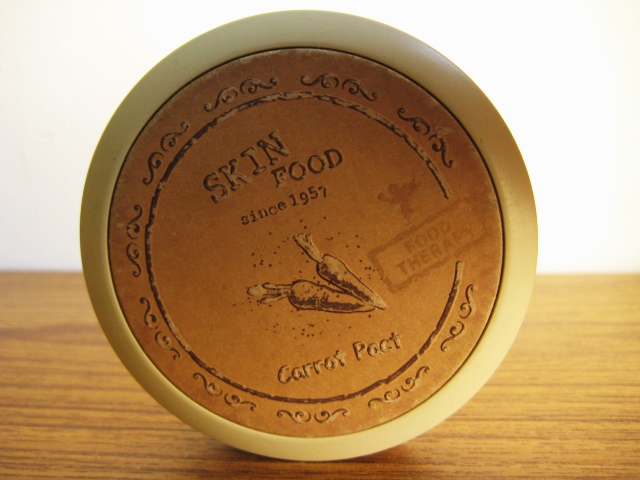 Skin Food is a Korean skincare and cosmetics brand that makes its products with organic food-based ingredients! 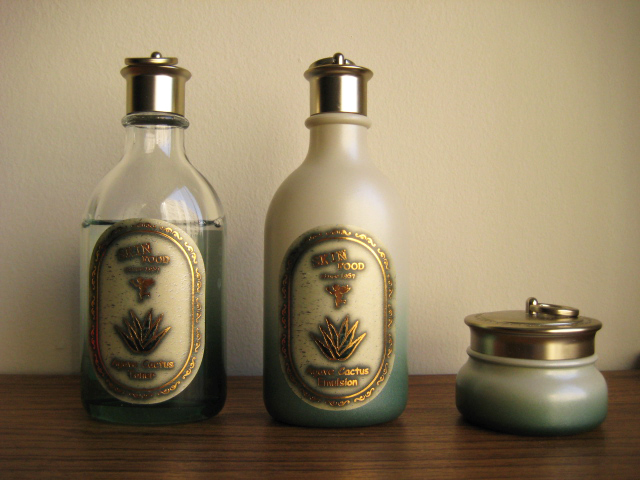 It is extremely affordable, the packaging is always so lovely, and the products themselves work wonders! I had heard about this brand before I had gone to Korea, so as soon as I saw a store (they're everywhere in Korea) I went in and bought...everything. 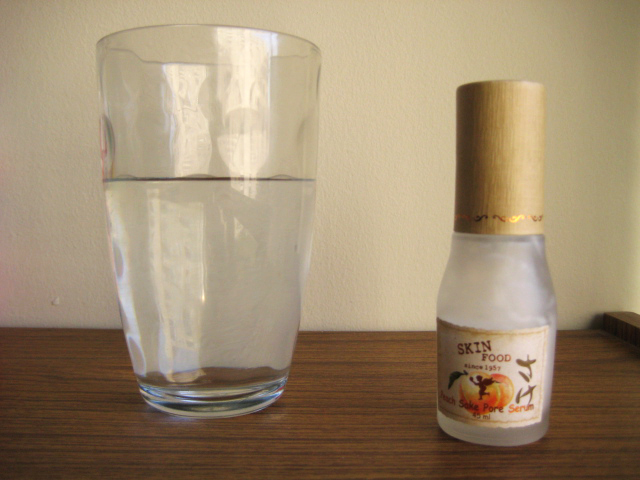 Soft serum with 'sake', traditional Japanese wine brewed with rigidly selected rice, and 'peach' extracts rich in vitamin A and C to remove greasiness due to enlarged pores and excess sebum. I love this stuff. It makes my skin so soft and smooth! The skin on my face looks pretty well like porcelain after putting this stuff on! For a couple of weeks I stopped using it (out of laziness?) and then I noticed my skin was looking dull and disgusting. After I started using it again my boyfriend casually touched my face and was shocked by its softness and smoothness...and then proceeded to stroke my cheek repetitively hahaha what a cutie <3. Above are some essentials I usually put on everyday when I'm out and about. This is the Skin Food Carrot Pact. 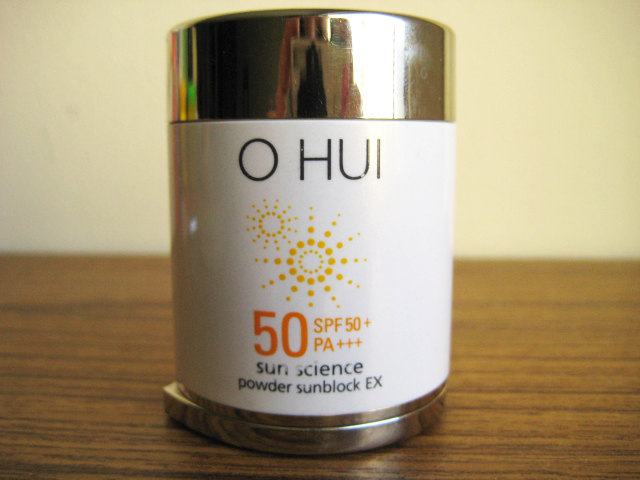 I don't really use this for coverage, but more for a bit of colour after putting on the stark white powder sunblock. I also apply this if I do happen to look dull or greasy during the day. A gentle skin-comforting pact containing the nutrient-enriched extract of organic carrots grown on Jeju Island formulated for the health of your skin. I'm not very extravagant or fancy when it comes to actually washing my face. 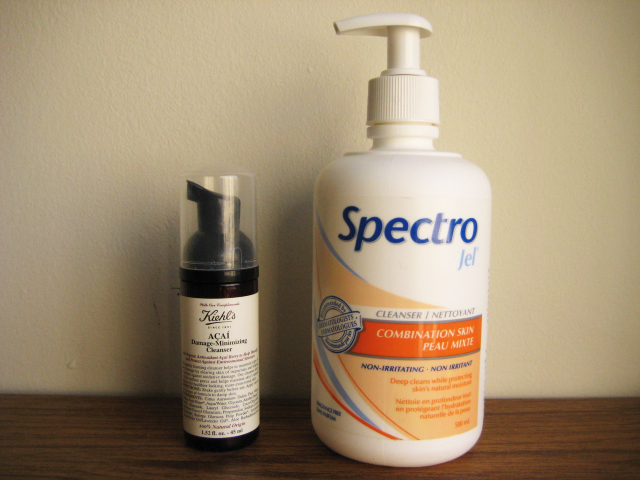 After years of experimenting with Clean n' Clear and Neutrogena products in my younger teen years (yuck), in my later teens I finally settled on two lovely cleansers: Cetaphil and Spectro Jel. I use the two as if they are one and the same. When I run out, I use whichever one is on sale at the time. Right now, I'm on the Spectro Jel. I use this to wash my face at night, and I use it on my back and chest in the shower. It has no harmful chemicals in it (not even sodium)! It is extremely gentle, and you can use it with or without water, and it removes--EVERYTHING. Right now I'm also using a Kiehl's Acia Damage-Minimizing Cleanser sample I got. Can't say I love it. Their moisturizer from the same line is amazing (I used it one night, and woke up with new skin--I swear), but this cleanser is too foamy...I don't like foam cleansers because I think they are too harsh on the skin. Containing extracts from Agave, also known as Nature's Reservoir, this toner/emulsion/cream rests skin with abundant moisture and nourishment for a more vibrant texture. So far, I have loved using this line! My skin was going through a drought of care and was looking kind of, seriously, grey for a while. I've been using this for a couple of weeks and my face does seem to have a bit of a brighter glow to it =). 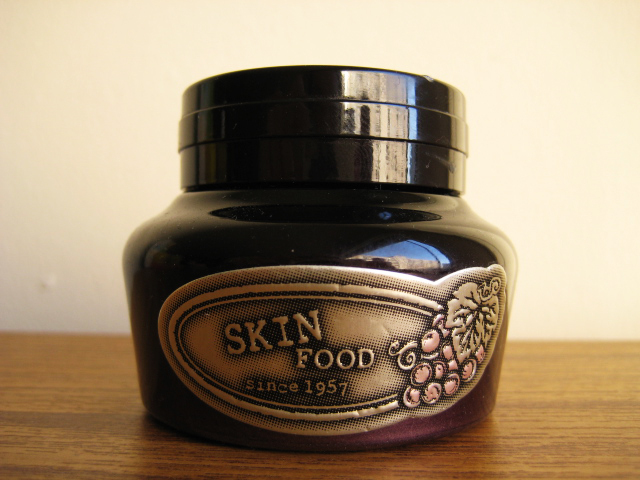 And last but not least, this is Skin Food's Platinum Grape Cell Cream (skin-brightening and Anti-wrinkle effects). This used to be a the cream I used on my face after washing it at night. It does wonders! I love waking up in the morning after using miraculous creams like this. I wish I had the toner and emulsion that go with it, but since I don't I occasionally use this on my neck now. It is never too young to start using anti-wrinkle/anti-aging stuff in my opinion! here is what I'm giving away! 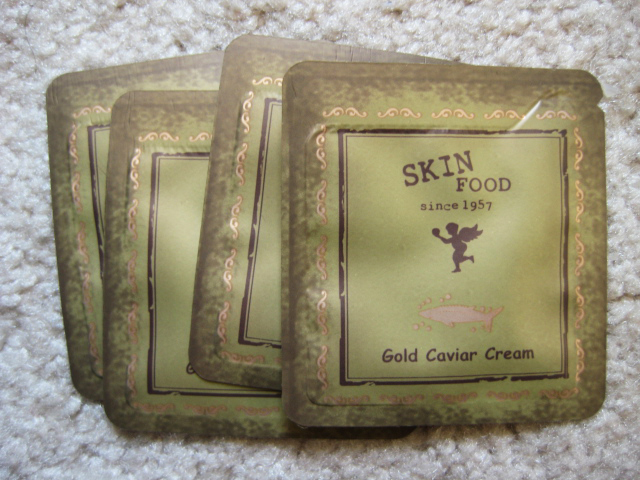 4 samples of Skin Food Gold Caviar Cream (to be used after the serum). 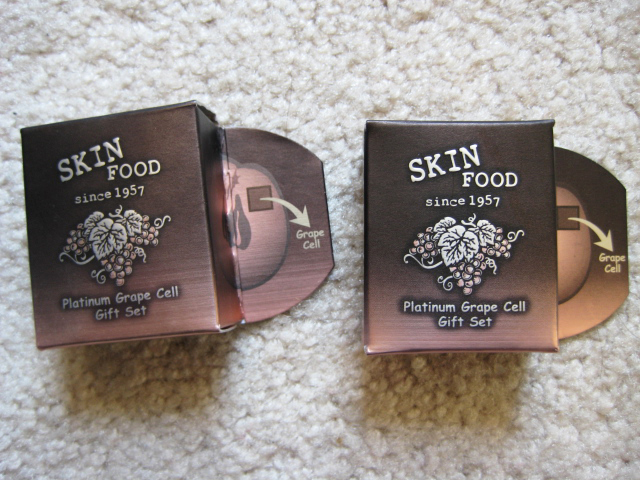 2 box samples of Skin Food Platinum Grape Cell line (each little box contains a little bottle of emulsion and a little bottle of cream). 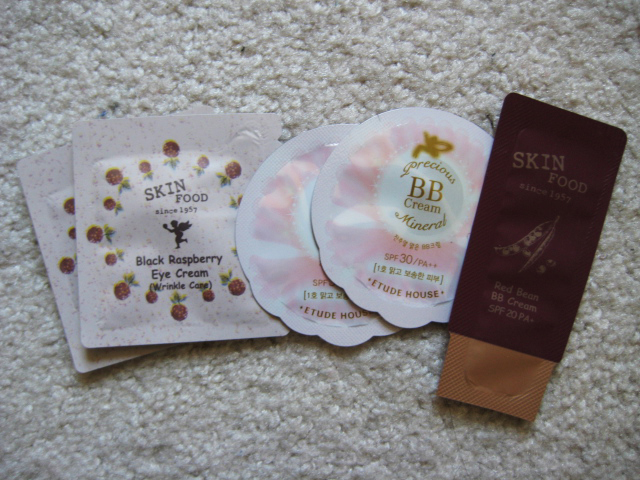 2 samples of Skin Food Black Raspberry Eye Cream (sounds delicious and amazing! Lucky you because I've never tried them! 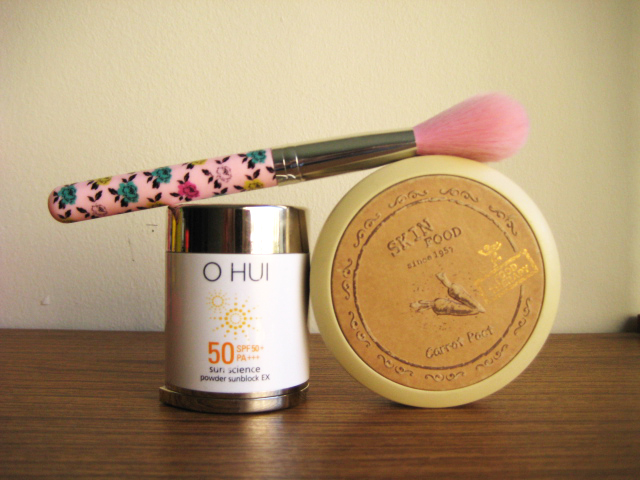 ), 2 samples of the Precious Mineral BB Cream from Etude House (the same one I use! 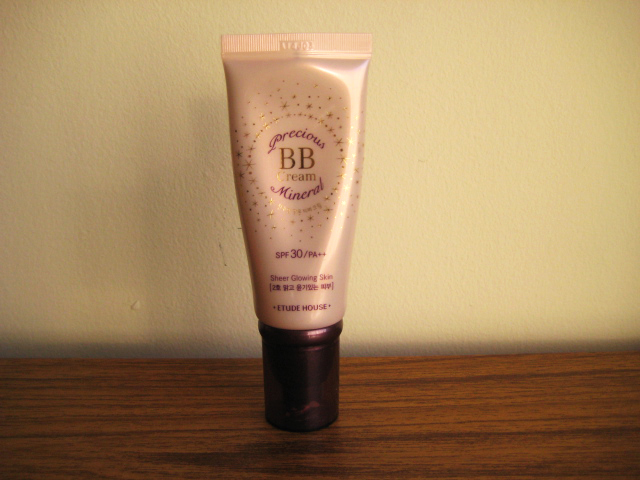 ), and 1 sample of Skin Food's Red Bean BB Cream (I've always wanted to try this, but never got around to buying some!). 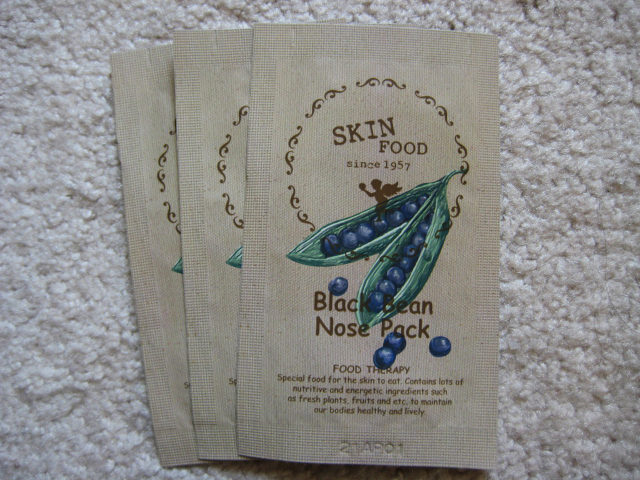 3 Skin Food Black Bean Nose Pack strips. These are awesome. I use them about once every 2 weeks or so. Essentially, it is the same as a biore nose-strip, but made with Black Bean =). Be a member of thelittledandy.com blog! If you're already a member (following me with Google Friend Connect) then, great! If not, all you have to do is click 'Join as Member' on the right ----> and join the rest of my pretty dandies =). the bb cream looks nice! !the pics are beautiful!! Great blog! Hope I win! 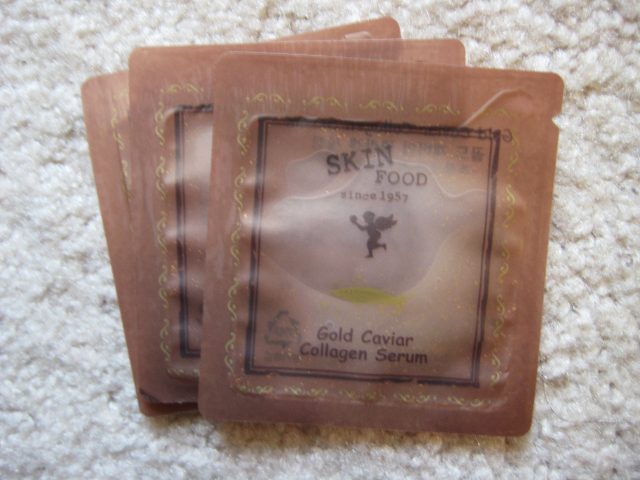 I would love to finally try skin food! Anw i am totally follower through Google Friend Connect and GFC name liz. Ooh omgosh love love love - can't get enough of the excitement of these products! must have in my collection of favorites! i love skinfood & etude house! Hi girl i love your blog, maybe we can follow each other if you like my blog also!? http://rachelkromdijk.blogspot.nl keep up the goodwork!